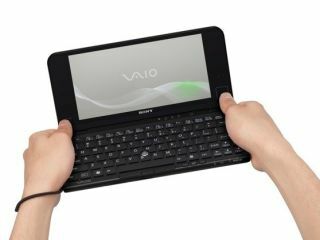 Sony's latest refresh of its Vaio P ultraportable PC is set to feature an accelerometer and a touchpad. The new Vaio P is set to launch at some point in June. TechRadar has contacted Sony for further details on the plans for a UK launch. The Vaio P Series features an 8-inch screen and weights in at a mere 1.3 pounds. The latest version will have an optical touchscreen built into the LCD bezel on the right of the machine, as you can see from the above picture. Sony's latest P Series will also feature an iPhone-style accelerometer which, among other features, will let you flip the device vertically to read documents ebook style. You can also tilt the Vaio P left and right to move backwards or forwards when browsing the web.